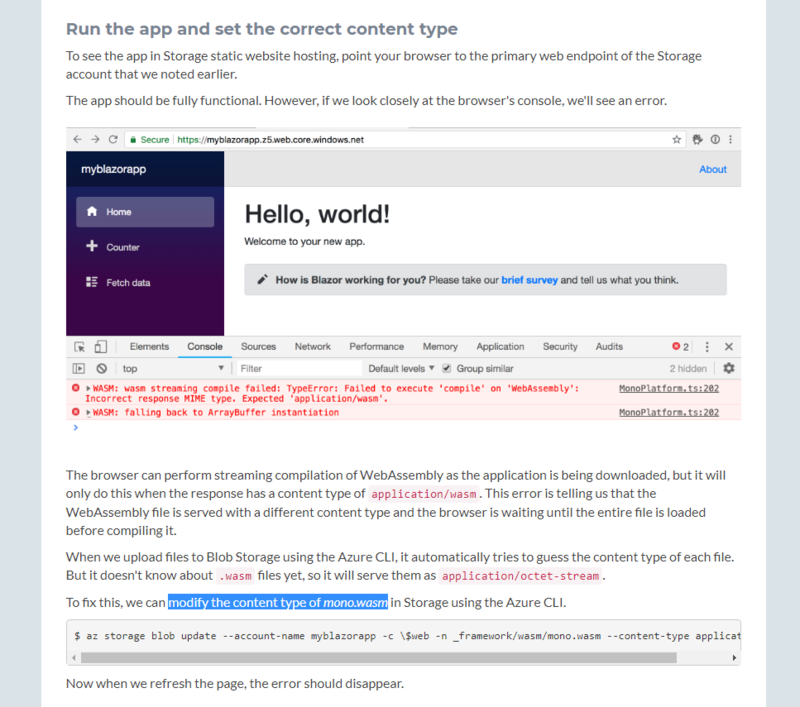 Why blazor app doesn't work when i change root to folder "_framework"
I change my base href in index.html: was href="/" has become href="/schedule/"
css, js, resources work good, but _framework which includes wasm files and doesn't work correct. I wrote this code in Server.Startup. In UseBlazor i have written Client.Startup.